Interpret San Diego returned to the CONAN show for a third straight year in July 2018. In just four short years, Conan O’Brien has become of the best things at San Diego Comic-Con — hosting shows with some of the week’s biggest shows, and letting attendees join in on the fun for free (though getting a ticket can be tricky). Shows were, again, taped at San Diego’s Spreckels Theatre. With a strong understanding of Deaf culture, Interpret San Diego, a business of San Diego ASL Interpreting, LLC, offers American Sign Language (ASL) interpreters. We offer certified, local ASL interpreters in any setting, specializing in large events and conferences. Interpret San Diego is a certified Small Business by the State of California (#1754242)and a certified Small Local Business Enterprise by the City of San Diego (#14IS1244). The San Diego Gulls, in partnership with Interpret San Diego, has announced that the next ASL Night, which has been themed “ASL Night on Ice,” will be held at the Valley View Casino Center, on Saturday, November 19, 2016. The event starts at 7:00 pm. The local Deaf community, as well as sign language interpreters, aspiring interpreters, and students and teachers of American Sign Language (ASL), will enjoy a signed performance the National Anthem; interpreters will be found in select sections of the stands; a community table where interpreters can be found and friends can hang out; a special organization will be featured in the Gull’s “Community Spotlight; and a post-game group photo on the ice. With a strong understanding of Deaf culture, Interpret San Diego, a business of San Diego ASL Interpreting, LLC, offers American Sign Language (ASL) interpreters, and Video Remote Interpreting (VRI). We offer certified, local ASL interpreters in any setting, specializing in large events and conferences. With our cloud-based, on-demand VRI technology, our interpreters can be reached from anywhere in the country and we are proud to be the ONLY agency in San Diego that employs 100% of its ASL interpreters. Interpret San Diego is a certified Small Business by the State of California (#1754242)and a certified Small Local Business Enterprise by the City of San Diego (#14IS1244). With Interpret San Diego on hand, Vice President Joe Biden spoke at the Port of San Diego on July 13, 2016. He spoke about removing trade barriers and increase export opportunities worth billions of dollars to American workers, farmers, and businesses. The Vice President, discussing trade enforcement in an appearance at the 10th Avenue Marine Terminal, said China places export duties on raw materials imported by U.S. companies, making them more expensive. In turn, the products made by the affected companies have higher prices compared to Chinese competitors. With San Diego Bay as a backdrop, Biden also commented on the beautiful weather enjoyed by San Diegans. “When I die I want to be reborn here,” he said. The San Diego Padres, in partnership with Interpret San Diego, hosted ASL Night at Petco Park on Saturday, June 18, 2016. “ASL Night” returned for its second year. To prepare, Interpret San Diego worked with the Deaf community to facilitate meetings with Padres Executives. Many improvements were suggested as were a few surprises, like SuperDeafy and Branton Stewart. The first pitch was thrown by SuperDeafy! John Maucere, an acclaimed Deaf actor, who signed the National Anthem at Super Bowl XLVII and appeared in shows such as Law and Order, Switched at Birth, and No Ordinary Hero: The SuperDeafy Movie, was a joy to work with. Interpret San Diego was also pleased to present Branton Stewart as the signer of the National Anthem. As a Deaf person who grew up in a Deaf family, Branton likes to think he’s the epitome of a southern gentleman, even if he’s the king of jokes. It was when Branton began working with renowned comedian Keith Wann during the ASL Comedy Tour that he discovered his enthusiasm for comedy and storytelling. He has trained with renowned actors such as Bernard Bragg, Patrick Graybill and Ricky Smith, learning performance techniques and timing. Branton also owns CDI Network, a Deaf interpreting agency that provides interpreter services, mentoring and workshops. He makes his home in Temecula, California with his wife and their two dogs. If you ever need a story about miscommunication, Branton has plenty that will leave your cheeks hurting from laughing. Interpret San Diego, in partnership with the San Diego Padres, will host the “2nd Annual ASL Night at Petco Park” on Saturday, June 18, 2016. ASL Night returns after last year’s very successful inaugural event. In preparation, Interpret San Diego has been working with the local San Diego Deaf community to facilitate meetings with Padres Executives. All Deaf and hard of hearing communities, ASL students, interpreters, teachers, and enthusiasts are invited to be a part of this event, which will be held in Sections 129 and 131. Arrive early and witness the First Pitch Throw by acclaimed actor, John Maucere who has appeared in shows such as Law and Order, Switched at Birth, and widely known as the character SuperDeafy! Be a part of an appreciation night at the ballpark where you will enjoy Branton Stewart sign the National Anthem. Branton also owns CDI Network, a Deaf interpreting agency that provides interpreter services, mentoring and workshops. He makes his home in Temecula, California with his wife and their two dogs. Also, ASL interpreters will be available throughout sections 129 and 131 as well as concessions behind these sections. The game will be at 7:10 pm against the Washington Nationals. Invite your friends and family for a fun night out for only $19 per person (normal field level price $39). The first 300 ticket buyers will be entered into a drawing to win field passes for Batting Practice to a mutually agreed upon game! This is a unique and premium experience, so brace yourselves as every person will also receive a giveaway upon ballpark entry! Democratic presidential candidate Sen. Bernie Sanders addressed thousands in San Diego at the Convention Center on March 22, 2016, in what his campaign called ''A Future to Believe In Rally." Sanders' visit to San Diego comes one day after he used an appearance at a Salt Lake City school to deliver the speech he would have given at the American Israel Public Affairs Committee policy conference in Washington had his schedule permitted. Wearing T-shirts and holding “Feel the Bern” signs, the voters were aiming to drum up support for Sanders. “I live about an hour from here to be here,” Carlsbad resident Catherine O’Callahan said. “This is something really big. You know, the message. It’s a political revolution." Interpret San Diego was fortunate to work with a very agreeable campaign staff. They felt providing the Deaf community access to Senator Sanders’ message was important. As the only liberal arts college for the deaf in the world, Gallaudet University has graduated more than 19,000 students and is accredited by the Middle States Commission on Higher Education. The university offers a bilingual learning environment featuring American Sign Language and English with programs and services designed specifically to accommodate the deaf and hard of hearing student. Undergraduate students can choose from a wide range of undergraduate degree programs, including Arts and Media, Business, Human Services, Humanities, Language/Culture, and Science/Math/ Technology. Graduate degrees include ASL and Deaf Studies; Counseling; Education; Government and Public Affairs; Hearing, Speech and Language Sciences; History, Philosophy, Religion and Sociology; Interpretation; Linguistics; Psychology, and Social Work. That’s more than 40 majors leading to Bachelor of Arts or Bachelor of Science degrees. A small number of hearing undergraduate students—up to five percent of an entering class—are also admitted to the University each year. Graduate programs at Gallaudet are open to Deaf, hard of hearing, and hearing students and offer certificates and Master of Arts, Master of Science, doctoral, and specialist degrees in a variety of fields involving professional service to Deaf and hard of hearing people. Close to 2,000 students are enrolled at Gallaudet, which boasts a robust campus life including a campus ministry and full athletic program. According to a recent alumni study, more than 98 percent of those who graduated December 2010 and August 2011 are employed; 99 percent of graduate students are employed or furthering their education. Gallaudet was granted university status in October 1986. Two years later, in March 1988, the Deaf President Now (DPN) movement led to the appointment of the University's first Deaf president, Dr. I. King Jordan and the Board of Trustees' first Deaf chair, Philip Bravin. Through the University Career center, students receive internships that provide a wealth of experiential learning opportunities. Recent internships were offered at Merrill Lynch, National Aeronautics and Space Administration, National Institutes of Health, and the World Bank. Students also benefit from an array of services provided by such campus units as the Burstein Leadership Institute, Language Planning Institute, Hearing and Speech Center, Cochlear Implant Education Center, and the Center for International Programs and Services. Today, Gallaudet is viewed by Deaf and hearing people as a primary resource for all things related to Deaf people such as career opportunities, visual learning, Deaf history and culture andAmerican Sign Language. One of nine colleges of Rochester Institute of Technology. Of the more than 15,000 undergraduate students from around the world on campus, 1,200 are deaf or hard of hearing. The institute is the first and largest of its kind for deaf and hard of hearing students. Instructors use a variety of communication methods including ASL, spoken language, finger spelling, printed and visual aids, and online resources. FM systems are also available along with tutoring, note-taking, real-time captioning services and interpreting staff. The National Technical Institute for the Deaf (NTID) was formally established in 1965 and began operation in 1967 at Rochester Institute of Technology (RIT) with first students in 1968.The college is in Rochester, N.Y. RIT was founded in 1829. The National Technical Institute for the Deaf (NTID) is one of the nine colleges of Rochester Institute of Technology (RIT), a leading career-oriented, technological university recognized by U.S. News & World Report as one of America's "Best College Values," and by The Princeton Review as one of the top 20 colleges nationwide for "Best Career Services." More than 15,000 undergraduate students from around the world, including more than 1,200 who are Deaf or hard of hearing are enrolled at RIT/NTID. NTID prepares professionals to work in fields related to Deafness; undertakes a program of applied research designed to enhance the social, economic and educational accommodation of Deaf people; and shares its knowledge and expertise through outreach and other information dissemination programs. The ACT score requirements are 24-31. Deaf and hard-of-hearing students at RIT/NTID receive private university education at a public college price. SWCID is a state-supported college operating within the Howard County Junior College District, which offers associate degree and certification programs. American Sign Language is primary communication used in instruction. SWCID students are also able to participate in athletics, student organizations, class internships and other residential activities on the Howard College campus. SWCID was the idea of a parent of a Deaf student in elementary school Mr. Fred Maddux, who wanted a vocational training program for his son. Mr. Maddux presented the idea to Dr. Burke, the Regional Superintendent for the West Texas Panhandle-Regional Day School programs for the Deaf in Texas. They contacted Big Spring, Texas leaders to see if they would communicate with Congressman Charles Stenholm about the need for a college for the Deaf at recently-closed Webb Air Force Base facilities. Congressman Charles Stenholm, Dr. Burke, Mr. Maddux and several other Big Spring officials met. Following the meeting, Congressman Stenholm was in full agreement of using the Webb Air Force base facilities as a college for the Deaf. Howard College agreed to sponsor SouthWest Collegiate Institute for the Deaf in May of 1979 under the leadership of President Charles Hays, and on November 6, 1979, the Howard County Junior College District Board of Trustees officially established the SouthWest Collegiate Institute for the Deaf. We are writing in response to the February 26, 2016, report by Meghan Lopez titled “Unpassable: why a private company controls national sign language interpreter licenses.” This report has significant misinformation and flawed representation of the facts. To achieve your goal of “news you can count on” and “fair and balanced” coverage, we implore that you make the necessary corrections for a fair and balanced story for ALL of your viewers. The first major oversight is that Ms. Lopez failed to include the perspective of Deaf consumers on the holistic topic of qualified interpreters and how that is measured. Instead of making this about an individual who has not yet passed the national standard, it should have been about the difficulty Deaf individuals’ encounter in gaining access to qualified and competent interpreting services. It is their experience that should be represented in the forefront of this story, not hidden under the highlight of one individual’s multiple attempts to pass a national standard. In the report, Ms. Lopez states, “Nowhere in the ADA does the law require interpreters to be certified in order to work legally.” Where is the interview with the National Association of the Deaf (NAD) or the local NAD state affiliate on what qualified means to the Deaf community? It is indeed correct that the ADA doesn’t specify any certification as a determination of qualified. However if the Deaf community and state regulatory agencies define qualified as certified in practice, then certification serves as an important indicator of skills, abilities, experience, and qualification. Just as with other professions, there is no entitlement to practice until a level of standard is met. Why does the reporter assume sign language interpreting should be different from other professions in that regard? Second, Ms. Lopez inaccurately represented the Registry of Interpreters for the Deaf, Inc. (RID) as a private company. RID is a 501(c)3, non-profit organization established for the purpose of protecting the interests of society, which includes Deaf consumers who seek linguistic access. It is for this reason that RID has worked for many years within the Deaf and interpreter communities to define national standards of competence and practice and to create testing and certification programs to meet the needs of consumers. Third, RID does not offer licensure as stated. It offers testing and certification. It is the individual states, through appropriate government regulatory agencies, that establish licensure or engage regulation. Some states include specific reference to RID certification within their regulatory and licensure language, while some only reference a national standard, allowing other interpreter credentialing systems to be used to recognize professional level competence. The states define their laws and regulations, not RID. Fourth, the title of the report using the word “unpassable” is again misleading and inaccurate. While the 2015 NIC pass rate was about 20%, it is not unpassable. Those who pass tend to do so within their first or second attempt. Had Ms. Lopez put the issue of testing of interpreters into a broader context, such as the one provided to her in the National Consortium of Interpreter Education Centers (NCIEC) Trends Report, she would have shared vital information to the general community by making them aware of the need for improving interpreter education programs, creating more internship experiences, and providing supervised work experience to help the testing pool for national certification to be better prepared for meeting the national standard. If you don’t look at how interpreters are being prepared and what the standards are to meet the Deaf community needs, then you are not, in any way, showing impact. By only highlighting the experience of an individual interpreter who failed the test, you missed the real issues that exist. This report is a lost opportunity to highlight the true impact on your viewing area; a goal that Ms. Lopez indicated to us was her purpose for the report. Fifth, Ms. Lopez’s reporting as to who was/is in “charge” of testing is another point of inaccuracy. RID began certifying interpreters in 1972. NAD also started certifying interpreters for a brief period between 1991-2002. She erroneously stated that NAD had been certifying interpreters since their inception nearly 150 years ago. In 2002/2003, NAD and RID agreed to work together to create the current joint test which began administration in 2005, not 2008 as she reported. RID did not “take over” as Ms. Lopez reported. To this day, it is the NAD-RID NIC. All of this information is clearly available on RID’s website, which Ms. Lopez had indicated she had thoroughly researched. She also could have secured accurate information by, again, going to NAD and seeking to interview their leadership. Sixth, in Ms. Lopez’s effort to show the costs of maintaining RID certification, she inaccurately reported RID’s role in providing continuing education. RID has approved more than 100 entities nationwide to provide continuing education options to RID certified interpreters. These entities provided more than 10,000 continuing education opportunities in FY15 alone. RID itself offers a small fraction of all of the continuing education that is provided throughout the nation on a yearly basis. The mandate for continuing education is one that the profession itself, members of RID, enacted as a means to demonstrate investment to one’s skills, abilities, and knowledge. Again, this is not unique to the sign language interpreting profession. Professional development is a mandated requirement for other professions, such as teachers, social workers, etc. We ask again, why does the reporter assume sign language interpreting should be different from other professions in that regard? Ms. Lopez spent nearly an hour interviewing RID’s Interim Executive Director, Anna Witter-Merithew. During the first part of this interview, Anna explained the history of RID and its non-profit activities, including maintenance of a directory of nationally qualified interpreters. Anna provided Ms. Lopez with information about other nationally recognized tests/assessments, including the BEI and the EIPA. Did Ms. Lopez explore the impact of the EIPA within the context of this story since she focused on interpreters working in classroom settings, the specialized setting for which the EIPA assesses? Were attempts made to meet state requirements through the EIPA by the interpreters for whom she interviewed? If so, what was the outcome? This is a vital part of the report that is missing as well. Finally, we understand the frustration of interpreters like Ms. Vance because of the level of commitment and investment she and others feel they have dedicated toward their path as practicing sign language interpreters. Unfortunately, Ms. Lopez’s report is a disservice to Ms. Vance, other interpreters facing similar situations, long-time interpreters, and ultimately, the Deaf community because she didn’t get the focus of the story correct. At the heart of the story is the Deaf community; the individuals who are impacted by interpreting services which are not meeting their needs. Again, that should be the story. As indicated in the interview that Anna conducted with Ms. Lopez, RID is equally concerned about the low pass rate. RID has and will continue to assess the administration and design of its tests to ensure that standards of validity and reliability are met. And, as part of our ongoing test maintenance process, as new studies and data collection result in the need for test revisions, we will continue to make those to the fullest extent possible. However, our concern cannot stop there, as the test is only one part of the formula for identifying a qualified workforce. RID has to also look at the interpreting system as a whole; how interpreters are prepared; how they acquire competence in American Sign Language, both expressively and receptively; how they are inducted into the field; the level of supervision they are receiving; the readiness they possess to meet national standards; among other factors. This is the context that surrounds Ms. Vance’s experience and others who are not meeting the national standard set by the NAD and RID. RID is disappointed to have our investment of time and resources provided to Ms. Lopez reduced to such a misrepresentation of the true issues and facts. We trust you will promptly see that the inaccuracies and misinformation your station reported through her report are corrected. Sign language interpreters across the country are having a hard time getting the certifications they need to work legally. A few states like Texas offer their own testing and licensure processes. However, many others rely on the Registry for the Interpreters of the Deaf, a private company not associated with the government, for their licenses. “RID is the only national organization that specifically focuses on sign language interpreters in the United States,” said Anna Witter-Merithew, the interim executive director of RID. Now, some interpreters argue that RID is rigging the game in its favor since it is the only nationally recognized certification agency in the country. Stephanie Vance used to be an interpreter with Las Cruces Public Schools. New Mexico offers a five-year provisional license for interpreters before they are required to pass the national test. “If you don’t get it within those five years you are no longer allowed to interpret in the state of New Mexico at all. If they catch you they fine you over $1,000 and can put you in jail for 364 days,” Vance said. She took the national test three times and failed it every time. Vance lost her interpreting job with Las Cruces Public Schools and, instead, was offered an educational assistant position. RID wasn’t always in charge of the testing and certification process. The National Association of the Deaf started back in 1880 and was the original group to begin offering these types of testing and certifications. RID came along more than 80 years later in 1964. For a time, there were two tests offered to interpreters. Then in 2008, the tests merged and RID took over. “I do find it very odd. I just it’s hard to see them be the judge, jury and executioner because they take the payments for the test, they decide if you pass the test, they do it all,” Vance said. Over the years, a number of criticisms over the non-profit arose; first, over the tests themselves. In order to qualify for a certification, an interpreter first must hold a bachelor’s degree. Then they must apply to take the National Interpreter Certification Knowledge exam. Once they pass that, they take the performance and interview exam. The cost of the tests is one big area of contention. For RID members who pay annual dues, the knowledge portion of the exam costs $325 the first time an interpreter takes it and then $275 each time they retake it. Then the interview and performance exam costs $410 the first time and $360 for each retake. Meanwhile, non-RID applicants pay $100 more for each test, each time. And, each time the would-be interpreter fails the test, they must wait six months before retaking it. “Honestly I couldn’t afford this last attempt so one of my friends a paid for this last attempt for me because they wanted me to try it one more time to see if I could actually pass the test. I am sure that other people couldn’t take it because of financial issues,” Vance said. The pass/fail rate for those tests has also been an area of criticism. While the NIC knowledge portion has an 89 percent passing rate, the NIC performance exam has only a 19.44 percent passing rate. Several interpreters KFOX14 spoke with who did not want to be identified said they are convinced RID purposely fails people to earn more money from the testing. “For me it defies logic because we are losing money on every single test so offering more tests does not help us fiscally it hurts us,” Witter-Merithew said. The interpreters who failed the test also argued that they received little feedback once they got their failing grade. “It invites for people to try to tweak that type of behavior to study to the test rather than to the standard of the test,” said Witter-Merithew. “I get that but to make a test that is so impassable then what’s the point of even attempting to take the test,” Vance argued. Instead, Witter-Merithew said the quality of the interpreters themselves is going down. “They determined that in general the quality of interpreter graduates has diminished,” she said, quoting a study by the National Consortium of Interpreters Education Centers. Once the applicant passes both the NIC knowledge and performance exams, they must become an RID member to keep their certification and pay $160 annually in dues. That interpreter then must earn eight continuing education course credits (CEU’s) to keep their license. Those credits are created and maintained by RID. According to RID’s website, one of its CEU courses costs $15 and earns an applicant one-eighth of a credit, meaning interpreters would need to spend $960 every five years to keep their certification. RID does offer bulk courses during its seminars and conferences. However, Vance argues that the cost to take those CEU’s then includes travel expenses along with enrollment in the conference. However, last August RID’s testing and certification process came to a screeching halt, when the company announced an indefinite moratorium. Witter-Merithew said the organization was forced to make this bold move because it was bleeding money and has been for years. Witter-Merithew said much of the issue is over the tests themselves. The organization gave interpreters until Oct. 1 to sign up for the tests and Jan. 1 to take the tests. “It wasn’t like the moratorium happened and the decision was made just that day,” Witter-Merithew said. Witter-Merithew said RID experienced a massive influx of more than 1,000 people apply for the tests. That’s more than the company usually gets in an entire year, according to Witter-Merithew. “I really just saw scrambling and panicking and what are we going to do because how they enforce the law without a certification affects the ability to have the interpreters,” said Jennifer Dahlgren-Richardson, a deafness resource specialist with VOLAR. The organization says it hopes to have the moratorium lifted soon but, “As of right now we don’t know,” Witter-Merithew said. The group hired a risk assessment firm to help work through its finances and look for ways to work more efficiently. “We will be presenting those proposals to the board during its March face-to-face meeting,” Witter-Merithew said. Nowhere in the ADA does the law require interpreters to be certified in order to work legally. Regardless, Borderland interpreters say the moratorium and RID’s overall testing policies could cause a migration of people from New Mexico to Texas since the state has its own licensing policies. Vance said at least one of her friends already made the move. “Her license expired in October and she was working for the schools and Sept. 30 was her last day and she quit and now she works in El Paso,” she said. Dahlgren-Richardson said she hopes New Mexico and Texas can work together to prevent a shortage. However, RID argues that the moratorium is not impacting the interpreting community as much as some might think. “There is no one who we are aware of who because of that moratorium lost their job,” said Witter-Merithew. She said RID did an impact study on the enforcement of licensure laws in the wake of the moratorium. It said many states are holding off on enforcing those laws until testing resumes. As for Vance, four times taking the performance exam is enough for her. Vance is waiting for results from her latest retake that she did in December. But, she said if she fails this time she’s done. “I don’t want to be told that I’m not good enough again. It’s heartbreaking to have somebody else who you’ve never met and who you will never meet say ‘nope you didn’t pass.’ It’s hard,” Vance said. My husband and I were a little late leaving the house to head to a friend’s house to watch the Super Bowl game. I was a little heavy on the pedal as I didn’t want to miss Marlee Matlin signing the National Anthem at the start of the game. I just prayed no cops would pull me over. We arrived just as Lady Gaga took to the stage and the first notes of the song began. My husband and I joined our friends as we gathered around the TV and waited in anticipation to see Marlee sign. The camera panned out to show Lady Gaga standing next to the piano, alone. “Wait a minute, where’s Marlee?” I asked. So we sat and we watched. The camera zoomed in on Marlee. And we never saw her again. Well, no, that’s not true. If you squinted and looked a couple feet away from the stage during an overhead pan out, you could see Marlee’s arms moving. As Lady Gaga belted out the last line, the rest of us looked at each other, stunned. “Marlee should have been on that stage,” someone said. This is the third time Marlee has signed the National Anthem at a Super Bowl. In 1993, she shared the stage with Garth Brooks. She shared the stage because Garth specifically wanted her up there with him. Garth’s decision sent a powerful message to millions–he wanted his music visually accessible and he wanted Marlee signing next to him. Garth Brooks and Marlee Matlin: National Anthem. As it should be. Yes, I know star performers would rather have the spotlight, but in this day and age, could we possibly shift the paradigm a bit–one that is more inclusive? We had missed the earlier announcement from NAD that CBS Sports would also live-stream Marlee Matlin’s entire performance online as an alternative viewing source. But even if we had streamed it alongside the TV, the experience would not be the same as watching Marlee on the same stage on TV. Heck, most of us would have been happy to just have Marlee on a split-screen at the very least. Thankfully, Marlee’s performance was shown on the Jumbotron: Marlee Matlin Signs the National Anthem. I must say, long after the Super Bowl ended, I couldn’t shake the disappointment I felt. I thought about my three deaf and hard of hearing kids–and all the deaf and hard of hearing children of families all over the world–how many more years will it take before we truly equalize the playing field? Marlee should have been on that stage. SO WHY WORK FOR INTERPRET SAN DIEGO AS A FREELANCE EMPLOYED INTERPRETER? - We get to offer you free and paid training – and we’re doing it! - Get paid fast, on the 1st and 15th. No more waiting 30 - 45 days. A 1099, Independent Contractor relationship may prevent agencies from offering you any of the above. Oh, and we also partner with Wells Fargo, the best around – to include offering direct deposit and employee discounts on banking services. Being employed does not mean being staff. You are STILL a “freelance” interpreter, which means you get to freely accept and decline our assignments as well as work for whomever you wish. Interpret San Diego is looking for guest bloggers and vloggers. If you would like to blog or vlog about or issues concerning San Diego's Deaf and/or interpreting communities, please submit your entry to Info@InterpretSanDiego.com. If your blog or vlog appears exclusively on our website and new app, you will earned $150. Interpreters, interpreting students, and ASL students are welcome to submit as well. No copy-catting. Stop trying to be like someone you admire and instead find out what unique offering you have. Tell the truth. Never lie, mislead, or cajole. Trust is slowly earned and easily lost. Be awesome. There’s enough mediocrity out there. Stop adding to the noise, and do something outstanding. Pick a theme. But realize your audience will stick around for your perspective, not your subject. Encourage community. Write or vlog unfinished posts, and ask your community to complete the conversation. Never underestimate the importance of networking. If you’re not connecting regularly with your audience, you’re missing out. Don’t write too little or too much. Generally, I try to write at least 300 words and no more than 1000 words. More than that, though, only write as many words as it takes and cut the rest. Have a point. Don’t just word-vomit on your audience. Write with conviction. Pick a side and be bold. And if you’re wrong, admit it. Don’t give up. Bloggers and vloggers who stick with it ultimately win. Write / vlog as often as possible. Constantly capture ideas and turn them into posts. Expect critics. A few people hating you is a sign you’re doing something right. Be prepared. Find ways to regularly get inspired. This is the only way you can inspire others. When you’re empty, fill yourself up. Don’t neglect this. Realize you can only create or react. At any give time, make sure you know which one you’re doing. Our New App is Ready! We very excited to share with you Interpret San Diego’s new App! Our App was designed for interpreters, our clients, and, most importantly, San Diego's Deaf community. We’ve listed the benefits of downloading and using our App below. Please try it for a few months, and let us know what you think. Your feedback will be greatly appreciated. Get to know Interpret San Diego. We are always working to be better. Stay in touch with “Community News,” which syncs with iDeaf News, Deaf Newspaper and Deaf News Today. Stay in touch with “Our Blog,” which will start to feature guest blogs from our very own Deaf and interpreting communities. Check out our latest photos. Stay in touch with our Google Maps-enabled “Events and More” calendar, which will include community events, outreach programs, socials, training opportunities and more. Lastly stay in touch by staying in touch. If you do not see a news source or an event listed, tell us through our “Join the Community.” Have something to bigger to share? Submit a blog or vlog that is specific to our San Diego Community, and we will pay you $150 if makes it on our Website and App. Requesting a quote or booking an interpreter takes about 60 seconds. Not sure? Learn able scheduling an interpreter via our FAQs and Terms. Still not sure? Check out our extensive experience and client portfolio. Never miss a job! Enable “push notifications” and get job announcements instantly. Receive job confirmations with the option to sync with Google Maps and/or Google Calendar. Interested in joining our roster of freelance interpreters? Answer a few quick questions to get started. Our benefits are unmatched. The San Diego Padres, in partnership with Interpret San Diego, has announced that the 2nd Annual ASL Night at Petco Park will be on Saturday, June 18, 2016, against the Washington Nationals. “ASL Night” returns after last year’s very successful inaugural event. In preparation, Interpret San Diego has been working with the local San Diego Deaf community to facilitate meetings with Padres Executives. Many improvements have been suggested as were a few surprises for 2016. Stay tuned to for up-dates. In the meantime, here are a few pictures from last year’s event, which was held on May 30, 2015. Click on the picture to scroll. The following ADA guidelines are for law enforcement officers, such as those who police San Diego, Orange, Riverside, and Los Angeles counties. They come from the Department of Justice in an effort to improve communication with people who are deaf or hard of hearing. Under the Americans with Disabilities Act (ADA), people who are deaf or hard of hearing are entitled to the same services law enforcement provides to anyone else. They may not be excluded or segregated from services, be denied services, or otherwise be treated differently than other people. Law enforcement agencies must make efforts to ensure that their personnel communicate effectively with people whose disability affects hearing. This applies to both sworn and civilian personnel. Law enforcement agencies must provide the communication aids and services needed to communicate effectively with people who are deaf or hard of hearing, except when a particular aid or service would result in an undue burden or a fundamental change in the nature of the law enforcement services being provided. Agencies must give primary consideration to providing the aid or service requested by the person with the hearing disability. Agencies cannot charge the person for the communication aids or services provided. When interpreters are needed, agencies must provide interpreters who can interpret effectively, accurately, and impartially. Only the head of the agency or his or her designee can make the determination that a particular aid or service would cause an undue burden or a fundamental change in the nature of the law enforcement services being provided. What Situations Require an Interpreter? Generally, interpreter services are not required for simple transactions — such as checking a license or giving directions to a location — or for urgent situations — such as responding to a violent crime in progress. Example: An officer clocks a car on the highway going 15 miles per hour above the speed limit. The driver, who is deaf, is pulled over and is issued a noncriminal citation. The individual is able to understand the reason for the citation because the officer points out relevant information printed on the citation or written by the officer. Example: An officer responds to an aggravated battery call and upon arriving at the scene observes a bleeding victim and an individual holding a weapon. Eyewitnesses observed the individual strike the victim. The individual with the weapon is deaf. Because the officer has probable cause to make a felony arrest without an interrogation, an interpreter is not necessary to carry out the arrest. However, an interpreter may be needed in lengthy or complex transactions — such as interviewing a victim, witness, suspect, or arrestee — if the person being interviewed normally relies on sign language or speech reading to understand what others are saying. Example: An officer responds to the scene of a domestic disturbance. The husband says the wife has been beating their children and he has been trying to restrain her. The wife is deaf. The officer begins questioning her by writing notes, but her response indicates a lack of comprehension. She requests a sign language interpreter. In this situation an interpreter should be called. If the woman's behavior is threatening, the officer can make an arrest and call for an interpreter to be available later at the booking station. It is inappropriate to ask a family member or companion to interpret in a situation like this because emotional ties may interfere with the ability to interpret impartially. Example: An officer responds to the scene of a car accident where a man has been seriously injured. The man is conscious, but is unable to comprehend the officer's questions because he is deaf. A family member who is present begins interpreting what the officer is saying. A family member or companion may be used to interpret in a case like this, where the parties are willing, the need for information is urgent, and the questions are basic and uncomplicated. However, in general, do not expect or demand that a deaf person provide his or her own interpreter. As a rule, when interpreter service is needed, it must be provided by the agency. 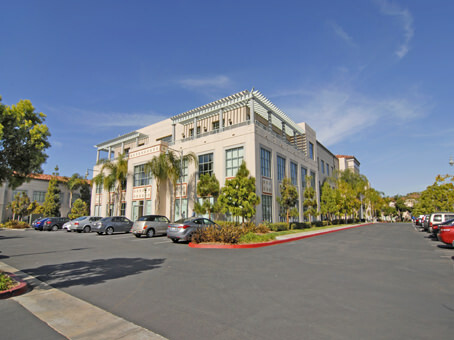 Interpret San Diego is pleased to announce that it has moved its Corporate Headquarters to Liberty Station in Point Loma. 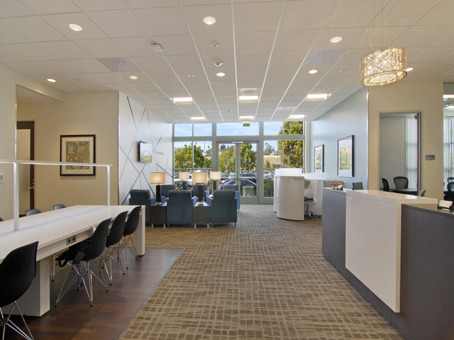 Our new address is 2305 Historic Decatur Rd, Suite #100, San Diego, CA 92106. This move signifies continue growth as well as a need to rebalance its places of business so that Interpret San Diego may enhance the delivery of the services it offers throughout the greater San Diego and Riverside areas. The new location will also serve as the Corporate Headquarters to Interpret Riverside, Interpret Orange County and Interpret Los Angeles, all new business ventures that will start in 2016. Liberty Station is a mixed-use development in San Diego, California on the site of the former Naval Training Center San Diego. It is located in the Point Loma community of San Diego. It has a waterfront location, on a boat channel off of San Diego Bay, just west of the San Diego Airport and a few miles north of Downtown San Diego. Liberty Station has several distinct districts: a retail and commercial district, a promenade focused on nonprofit activities, an educational district, a residential district, a hotel district, an office district, and a park/open space area along the boat channel. Although the first record of a signed language was in the early 17th century, signed languages probably existed as long as there were civilizations. Sign languages had existed whenever there were deaf people. Even though American Sign Language (ASL) has strong roots in French Sign Language, it is deeply influenced by many events preceding the more formalized sign languages that flourished since the 1700’s. The most prominent event was the publication of Sign Language Structure in 1965 by William Stokoe, a linguist, showing that ASL was a bona-fide language. The first known book on sign language was published in 1620 by Juan Pablo de Bonet. While a treaty for teaching “mute people to speak,” Bonet’s book also published a manual alphabet to improve communication with deaf students. In 1755, Abbe Charles-Michel de l’Epee of Paris founded the first public (free) school in Paris for deaf students. Many of l’Epee’s disciples founded schools for deaf students in their respective countries throughout Europe using the Langue des Signes Francaise (LSF). In 1815, Thomas Hopkins Gallaudet travelled to Europe to study methods for teaching Deaf students. At a public demonstration in England, Gallaudet met Abbe Roch-Ambroise Sicard and Jean Massieu who then invited him to visit their school in Paris. In 1817, Gallaudet and Clerc opened the first of their schools in Connecticut. It was called the Connecticut Asylum for the Education and Instruction of Deaf and Dumb Persons (now called the American School for the Deaf) in Hartford. By the end of the first year, there were 31 students from various New England cities which included students from Martha’s Vineyard, Massachusetts and Henniker, New Hampshire. Martha’s Vineyard and Henniker were two full-fledged communities where deaf and hearing residents of the island were communicating in a form of signed language. “Among the possible sources of the present American Sign Language would be Clerc’s LSF, the homesigns students brought from home and from some small scattered Deaf communities, pantomime, and new signs generated in the setting of the school” (Journey to the Deaf World). Today’s ASL was thus strongly influenced by the American School for the Deaf (ASD). Deaf students who graduated from ASD would go to different states to set up new schools for deaf students and would thus pass down to the next generation of deaf students the “contact language” that has become today’s ASL. By 1900s, the nationwide network of residential state schools was completed. Deaf people were now given the opportunity to be with other Deaf children and Deaf adults. They could share their sign language and cultural experiences without any communication barriers. The relationships they would form in these residential schools would last a lifetime. By the time of Clerc’s death in 1869, over 1500 students had graduated from the Hartford school, and there were 30 state-supported residential schools. In 1864, Gallaudet University -- the first college for the Deaf in the world – was founded. The establishment of residential schools and the college ensured that ASL flourished. Deaf adults were first hired as teachers as well as sign language models for Deaf children at school. This was changed later, in the early 20th century, when the oralist movement had taken hold in the educational system. Alexander Graham Bell led the movement in opposing the use of sign language in the education of deaf children. As a result, many Deaf adults were forced out of the teaching profession or demoted to being teachers of vocational classes. Today, the trend toward dedicated, residential education for deaf children has been replaced by a trend to integrate deaf children into local public schools. This movement became predominant after the passage of the All Handicapped Children Act of 1975 (today called the Individuals with Disabilities Education Act [IDEA]). Even though the long tradition of residential schools as the main centers of cultural transmission has been altered, ASL has still boomed. As a result of Stokoe’s 1965 linguistic study of ASL, within a short time, the perception of ASL changed from that of a broken or simplified version of English to that of a complex and thriving natural language as functional and powerful as any found in the oral languages of the world. The instruction of ASL as a “foreign language” became popular and ASL’s appeal has only grown. Currently, students can take ASL to meet their high school or college requirement of two years of foreign language study. The ASL in use today is a result of 195 years of deaf families and students passing down from one generation to next the language that has become one of the most used languages in the United States of America.